Janet K. Halfyard is a Senior Academic in Music at Birmingham Conservatoire. She has published widely on film and television music, particularly in relation to horror and fantasy genres. Her publications include Danny Elfman’s Batman: a film score guide (Scarecrow, 2004) and Music, Sound and Silence in Buffy the Vampire Slayer (Ashgate, 2010). Fantasy has had a modern resurgence in cinema due largely to the success of superhero narratives and the two major fantasy series, the Lord of the Rings and Harry Potter. 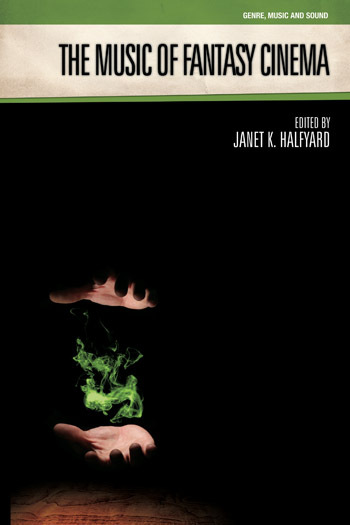 Often regarded as mere escapism, works of both literature and cinema wishing to be taken seriously by the public, by critics and by academics have tended to shelter under the euphemistic umbrella of Magic Realism and, until very recently, there has been a general lack of serious academic work concerned with fantasy as a genre. 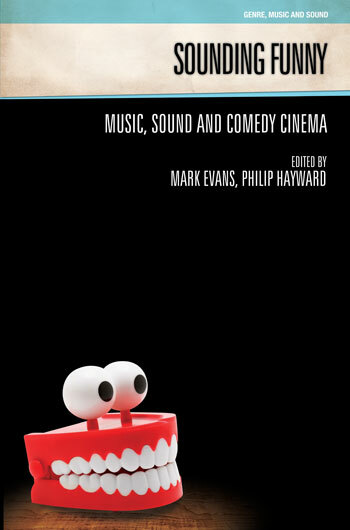 This volume explores the way in which music and sound articulate the fantastic in cinema and contribute to the creation of fantasy narratives. Apart from the accusation of frivolous escapism that attaches itself to the fantasy genre, another issue is the lack of a single and simple definition of what fantasy is: the consensus of academic opinion appears to be that fantasy invokes the magical within its narratives as the means by which to achieve what would be impossible in our own reality, as compared to sci-fi’s as-yet unknown technologies and horror’s dark and deadly supernatural forces. Fantasy remains problematic, however, because it defies many of the conventional mechanisms by which genre is defined such as setting, mood and audience. In a way quite unlike its co-genres, fantasy moves with infinite flexibility between locations – the world (almost) as we know it, historical, futuristic or mythic locations; between moods – heroic, epic, magical; and between audiences – children, teens, adults. In English-language cinema, it encompasses the grand mythic narratives of Lord of the Rings, Legend and The Seventh Voyage of Sinbad, the heroic narratives of Superman, Flash Gordon and Indiana Jones and the magical narratives of Labyrinth, Edward Scissorhands and the Harry Potter series, to name just some of films that typify the variety that the genre offers. What these films all have in common is a requirement that the audience accepts the a fundamental break with reality within the diegesis of the filmic narrative, and embraces magic in its many and various forms, sometimes benign, sometimes not. 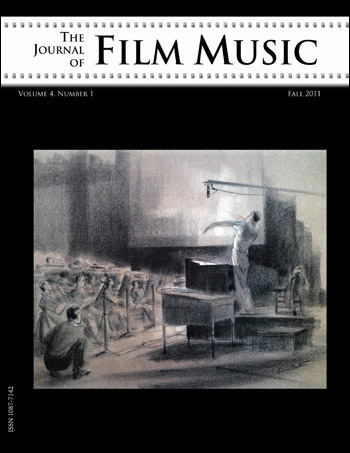 This volume examines music in fantasy cinema across a broad historical perspective, from Bernard Herrmann’s scores for Ray Harryhausen, through the popular music scores of the 1980s to contemporary scores for films such as The Mummy and the Harry Potter series, allowing the reader to see not only the way that the musical strategies of fantasy scoring have changed over time but also to appreciate the inventiveness of composers such as Bernard Herrmann, John Williams, Jerry Goldsmith, Danny Elfman and Elliot Goldenthal, and popular musicians such as Queen and David Bowie in evoking the mythic, the magical and the monstrous in their music for fantasy film. The present chapter introduces this volume of essays on music in fantasy cinema. The volume presents in chronological order the manner in which fantasy and its musical strategies have changed over time. Philip Hayward has taught film and popular music studies in Australia and the United Kingdom and is Professor and Deputy Pro Vice Chancellor (Research) at Southern Cross University, Australia. His previous books include Off The Planet: Music, Sound and Science Fiction Cinema (2004) and he is a performer in an avant garde chainsaw quartet performing work written by composer Michael Hannan. This chapter deals with the musical construction of the Other, the Australian Aboriginal Otherness in Peter Weir’s The Last Wave (1977), a film that Hayward concludes could probably not have been made in a later, more politically correct, time, because of the way it constructs a fantasy around Aboriginal spirituality. The film represents a significant point in fantastic music, with a move away from the orchestral timbres of classical Hollywood practice into soundtracks characterized by synthesized, atmospheric and ambient sound. This chapter examines the two scores contributed by Queen to Flash Gordon (1980) and Highlander (1986), and the specific contribution that the songs and high-energy performances of the band members brought to the tone and reception of those films. media and popular culture. His writings have appeared in journals such as Fashion Theory, The Journal of Popular Culture and International Review of the Aesthetics and Sociology of Music. This chapter looks at a specific moment of conflict between orchestral and electronic scores in the music for Ridley Scott’s Legend (1985), where production company concerns about the audience reception of the film resulted in the UK release using the original orchestral score by Jerry Goldsmith and the US release having a different cut of the film with a score by the German electronica group Tangerine Dream. The chapter looks at David Bowie’s performance in and music for Labyrinth (Jim Henson, 1986). The chapter argues that the film’s continuing appeal centres on the collaboration between Henson and Bowie rather than simply on its content as a narrative and, most importantly, that this collaboration was essential in locating Labyrinth as a fantasy film. The chapter explores the origins of Superman’s mythic identity, tracing the religious concerns evident in the film back to Friedrich Schelling’s and Friedrich Schlegel’s call for a new mythology in the years around 1800. Moreover, it draws attention to the ways in which the opening of John Williams’s score appears to allude to Brucknerian symphonic models of absolute music and, in so doing, partakes of the influential ideological currents. Further, by invoking Umberto Eco’s discussion of the comic book’s temporally paradoxical ‘oneiric climate’, the chapter addresses the continuing importance of Williams’s Superman themes for the status of the film franchise as mythic narrative. This chapter aims to show how music plays a central role in the presentation of fantasy in Tim Burton’s 1990 film Edward Scissorhands, how the idea of fantasy is constituted as a genre and to explain how its parody of this genre through music might be understood in terms of broader narrative strategies, particularly those drawn from literature and proposed by, among others, Jacques Derrida. The chapter examines Elliot Goldenthal’s Final Fantasy: The Spirits Within (Hironobu Sakaguchi and Moto Sakakibara, 2001). It argues that a certain disproportionality, albeit leading to an ultimately positive outcome, underlies the musicological analysis. Compared to the technical and artistic mastery evident in Goldenthal’s score, the cognitive dissonances presented in the first part of the chapter are quite minute. However, they contributed to the discovery of more subtle meanings, having the potential to enrich the artwork significantly by encouraging a closer, contemplative survey of the intricacies of its semantic and dramatic landscapes. This chapter contrasts John Williams’s scores for the Indiana Jones films in the 1980s with Jerry Goldsmith and Alan Silvestri’s music for The Mummy films in the 2000s. The films examined are set between 1924 and 1935, a period that predates the main period of twentieth-century feminist activism by several decades; and they aim to recreate an earlier era, filtered through the lens of the later one in which they were created. The chapter deals with the first five Harry Potter films, and looks at how other composers worked with the themes in the subsequent films as well as how the different scores reflect the various directors’ approach to the Harry Potter narrative. The chapter looks at the most recent film under discussion and reflects another contemporary trend with the hybrid pop/orchestral soundtrack of The Sorcerer’s Apprentice (John Turteltaub, 2010). This film continues Jerry Bruckheimer’s successful relationship with that other stalwart of fantasy-film production, Disney, a relationship that has also given us the Pirates of the Caribbean franchise. The collection is outstanding; its overall quality and breadth of content, methods, and interpretive strategies are particularly well demonstrated in essays by Alexander Binns, Mark Brill, Victoria Hancock and Halfyard, Philip Hayward, Jamie Webster, and Ben Winters. This excellent volume could also serve as a textbook for a seminar in film music. Summing Up: Highly recommended. All readers. Most of the topics within this volume are not those typically used in film music textbooks or broader-based publications,and this is perhaps its greatest strength… If one is interested in the genre of fantasy, is looking for supplemental material that is off the beaten path, or is simply interested in a few of the movies discussed here, this book deserves a look.